Raising a gifted child can be exhausting and demanding, and the demands can start as early as infancy. Of course, parents rarely know that their infant is gifted since most of the traits of gifted children don't show up quite so early. For instance, parents don't know if their little baby has a good memory or good reasoning skills. They don't know about their baby's ability to problem solve or conceptualize or synthesize. But not knowing that a baby isn't gifted doesn't mean that there are no signs at all or that parents can't make a good guess. If they already have a child who exhibits signs of giftedness, it's more likely that the new baby is gifted. Or if one of both parents is gifted, it's likely that the baby is gifted since giftedness is an inherited trait. What Are Some Characteristics of a Gifted Infant? Whether parents realize their baby is gifted or not, they may see evidence of one of the characteristics of gifted children: the need for mental stimulation. Even gifted infants seem to need that stimulation. Unfortunately for these infants, they can't do much to find that mental stimulation. When they are older, they can crawl and move around to explore the world around them and find some mental stimulation, but as long as they're infants, they can't move around much on their own. The most they can do is turn their heads. A gifted infant can get frustrated with the lack of new objects to explore visually. And when they get frustrated, they do what all infants do. They cry and fuss. Parents of these gifted infants get frustrated themselves because they don't know what's wrong. Is The Fussing From Colic or Something Else? Their baby may have already eaten. He or she may have just awakened or have been awake for only a short time, and the diapers are clean and dry. 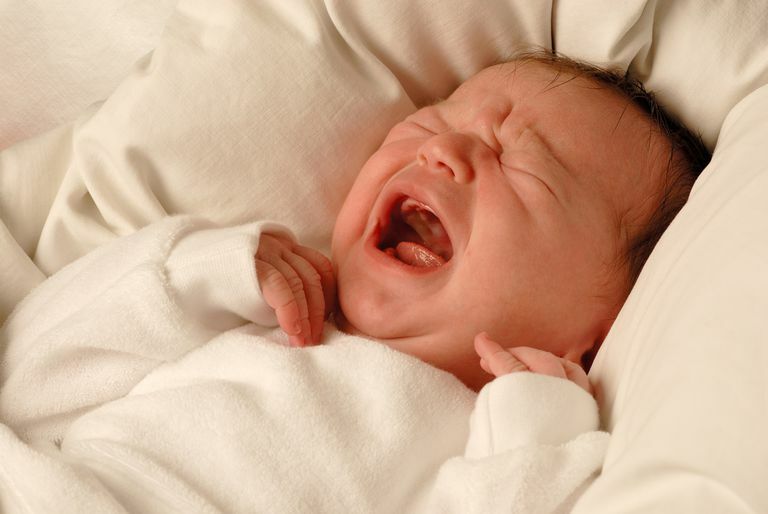 The first thing parents think of is colic. What else could be causing this crying and fussing? The fussing could be due to something as simple as lack of mental stimulation. Many parents of gifted infants find that if they change their baby's surroundings or view every so often, the baby stops crying and fussing. The baby just needed something new to look at. The next time your infant is crying and you can't figure out what's wrong, try moving your baby. Sometimes all it takes is moving an infant seat so that the baby is facing a different direction. Highly gifted infants may need to be moved frequently, sometimes as often as every 20 minutes! It is important to note, however, that the baby could actually have colic or something more serious. If the crying is persistent, you definitely should discuss it with your pediatrician. However, if your baby stops crying after you move him or her, chances are that the problem was a lack of mental stimulation.